Contoured burp rag. 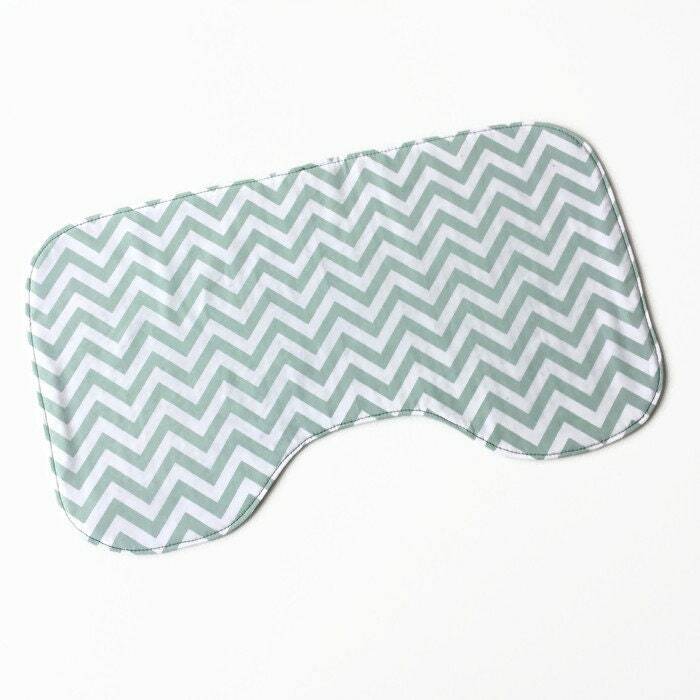 White cotton with green chevron. 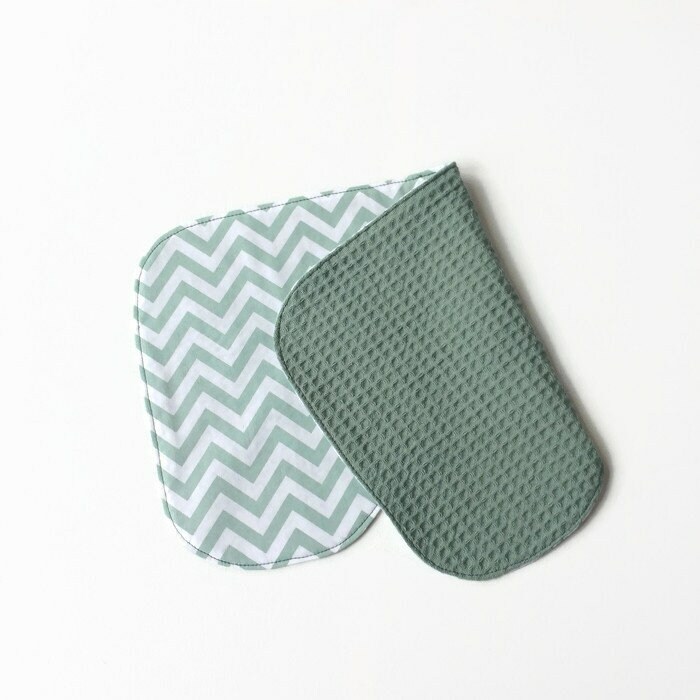 This white contoured burp cloth with green chevron is perfect for a baby boy or girl, and it will make a great baby shower gift. It's made from 100% cotton fabric. The burp cloth is shaped and sized to fit on your shoulder and not fall off. 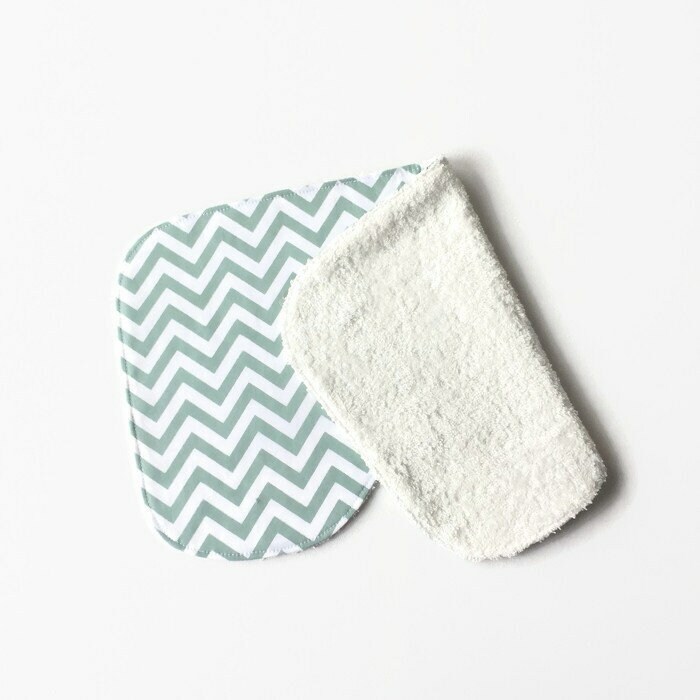 You can choose the backing fabric: green waffle cotton, white waffle cotton or white terry cloth. Machine washable, tumble dry low, iron if needed (should you want to). Size: approximately 16" x 10"
Made in a smoke-free & pet-free home.